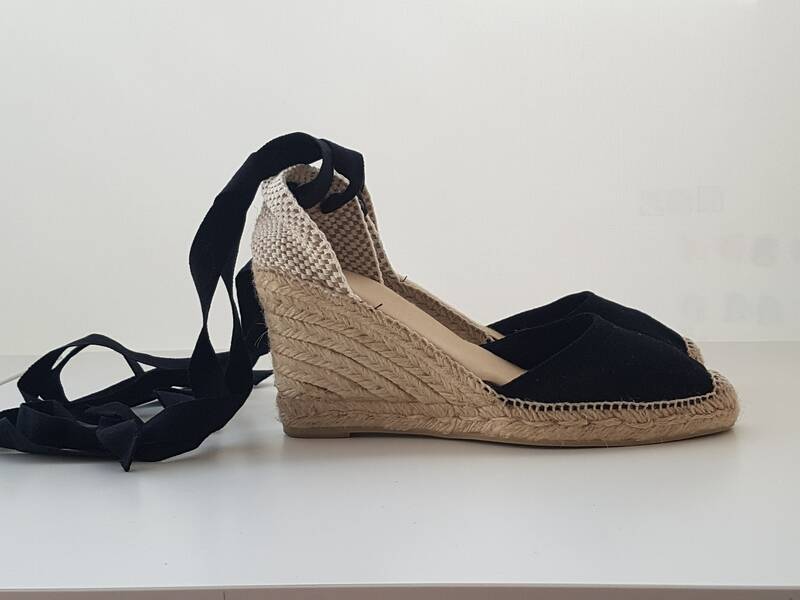 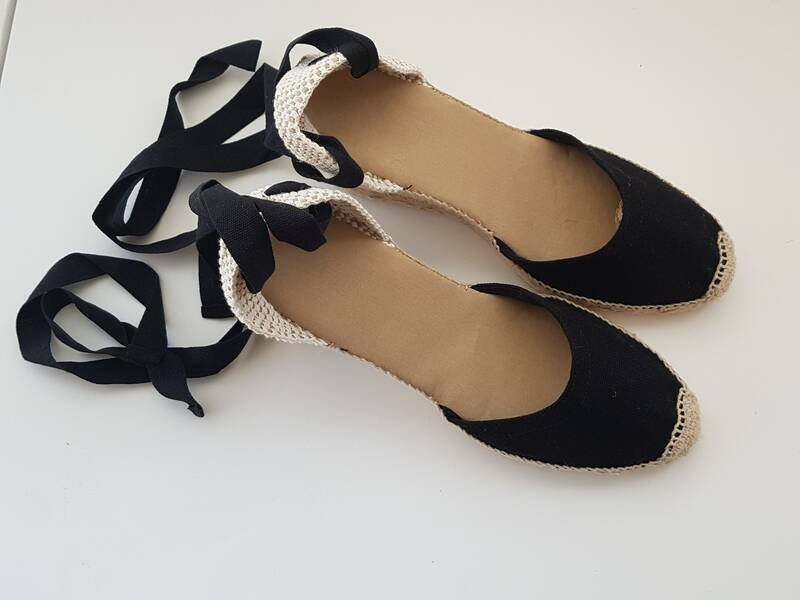 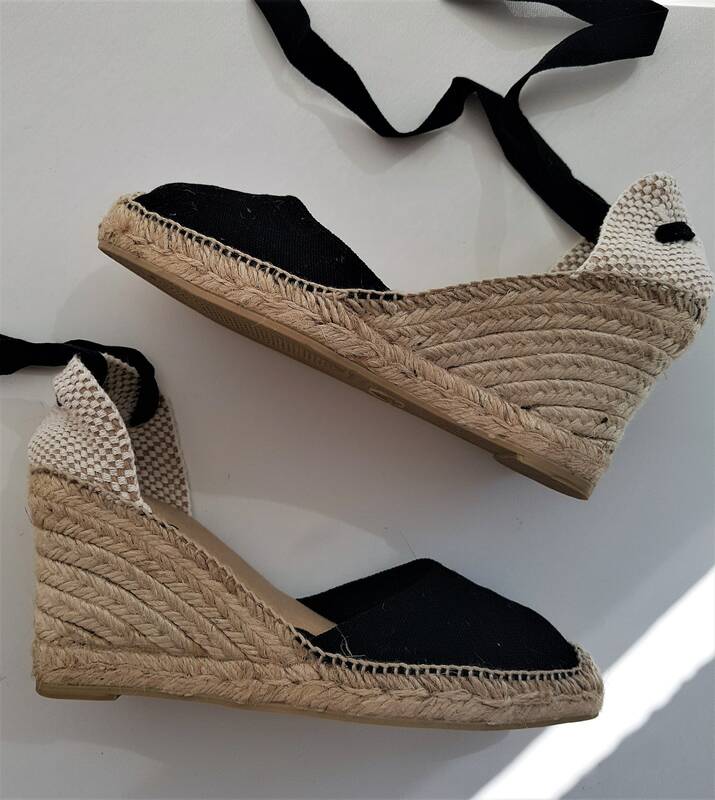 Lace up, rope sole espadrille wedges (8cm heels = 3.15 inches) in BLACK, handsewn with reinforcement stitching in the front. 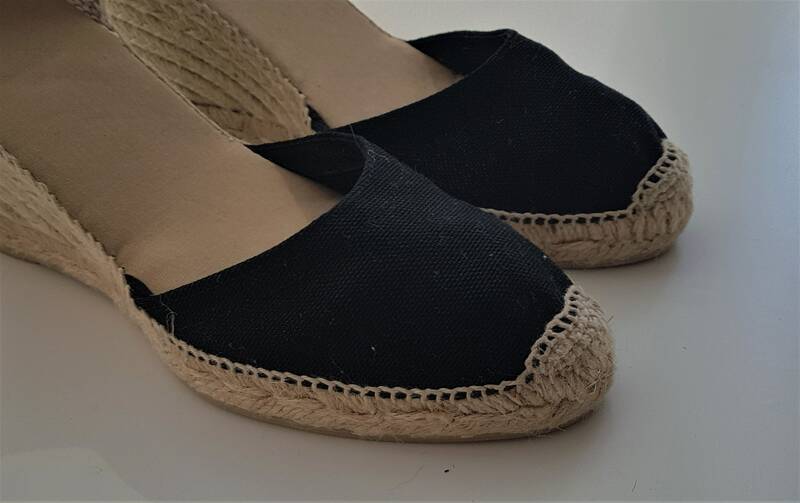 Antislippery soles covered with rubber. 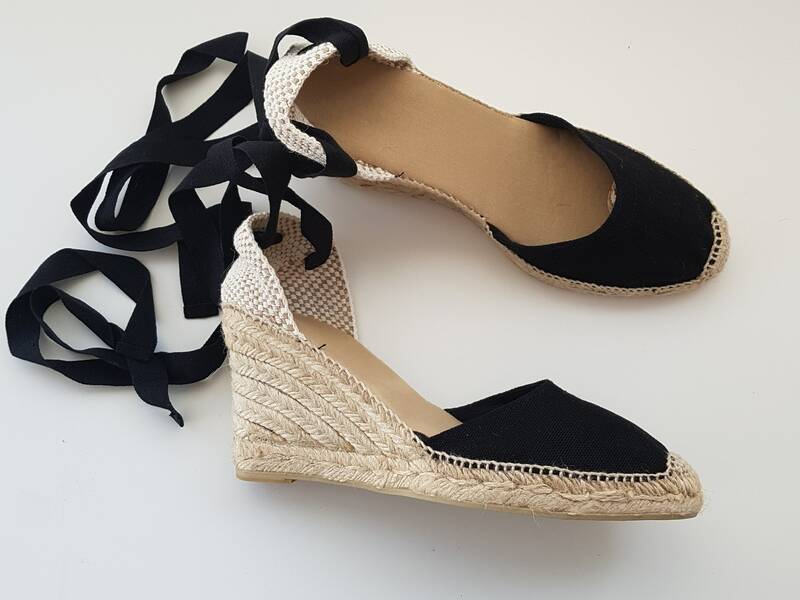 Not for wide feet.